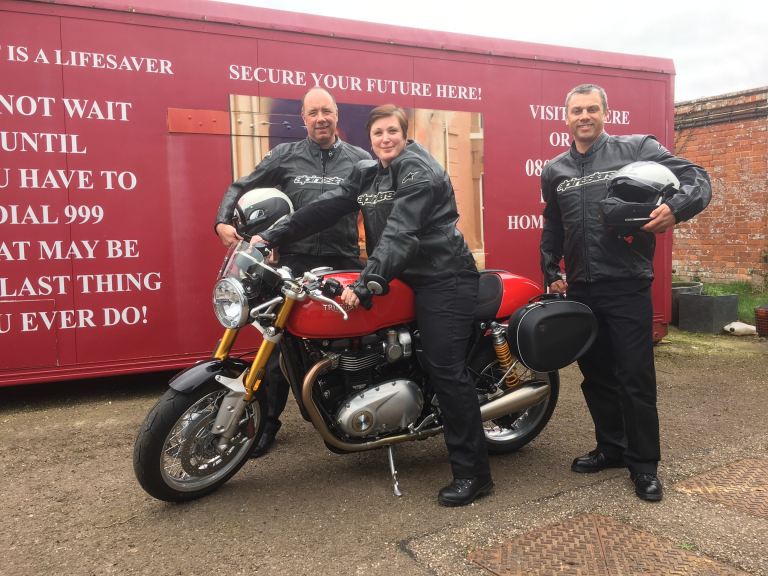 Devon & Somerset Fire & Rescue Service’s bike advocate team have taken delivery of a new Triumph motorbike. The bike is part of the services road safety educational toolkit for educating and raising awareness with bikers. The motorbike will assist in getting up close and engaging with motorcyclists at general community events and shows or at specific motorcycle events. Such as ‘bike meet’s’ and the very popular ‘Biker Down’ workshops comprising of three modules: Scene Management, First Aid and The Science behind being seen. knowing how to ride it. Check for motorcyclists before opening your car door - and ensure that your passengers do the same. When you pull away, look specifically for motorcyclists as they can accelerate faster than cars. The bike was supplied by local bike retailer Bridge motorcycles that assisted us in receiving support from Triumph UK.